The first giveaway has generated some good feedback and hopeful people entering for the unique artwork. The next item up for the giveaway is a recently featured "Photo of the Month." A lot of people seemed to like this shot so I had it printed on an 11x14 canvass for this year's Christmas giveaway. Here is the finished product ready to be sent to you. 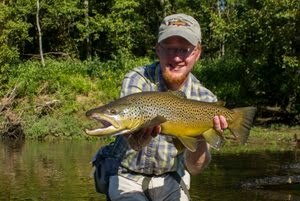 This picture is ready to hang near your tying desk, in your office, or anywhere else that you would like. 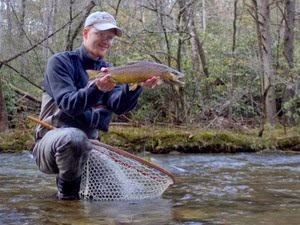 The fish was caught in October of this year on a blue line in the Great Smoky Mountains National Park, a true southern strain brook trout dressed in its finest colors. 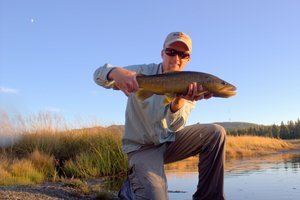 Love chasing brook trout? Then this picture is for you! 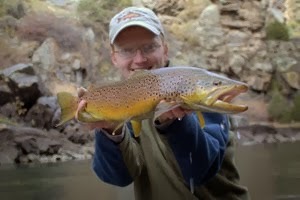 The winner for all of these contests will be drawn on Christmas Eve and announced here on the Trout Zone at that time. Winners will also be contacted via email. 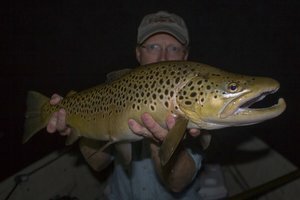 To enter, please send an email to TheTroutZoneContests@gmail.com and use "Giveaway Two" as the email subject line. Simply tell me in the email why you would like this unique photograph and where you plan to display it at. A winner will be drawn by a random number generator on Christmas Eve day. Shipping included to continental US. Be sure to share this with all of your friends as well! There is still more to come so stay tuned. That's an awesome photograph! Nice work, David!